Four of my beauty favourites this Friday. Over recent months, I’ve been going through a few changes in my beauty routine. My skin’s been in worse condition than ever before, with stubborn eczema spreading across my face, so I had no choice but to change things up a bit. Let’s get on to the four favourite products, shall we? 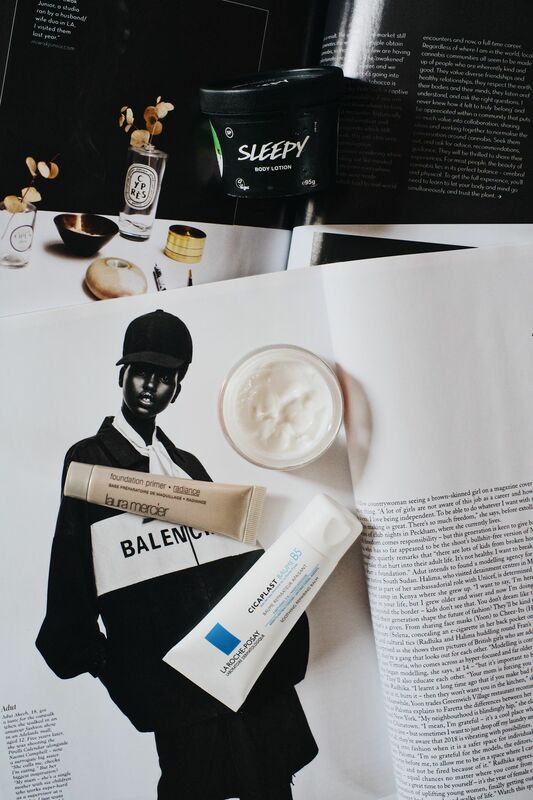 Something else that’s really helped too (although not for around my eyes) is La Roche Posay Cicaplast B5 Soothing Repair Balm, which I can’t quite believe I’ve only just got around to trying! I’ve been using this as a bit of a skincare multi-tasker: from moisturising cracked elbow skin, to tackling facial dryness, and even as a balm for parched lips. I’ve been a big fan of Effaclar Duo for YEARS, and all the other products I’ve tried from La Roche Posay have been fantastic, so if you’re struggling with any lingering winter dryness, despite the warming temperatures, Cicaplast could well be the one for you. And for the insomnia that I’m always banging on about, I’ve been trying the cult body lotion, Lush Sleepy, and I honestly don’t think I could do without it now! It smells incredible, for starters. Most importantly, it helps to calm me enough to get off to the land of nod more easily. 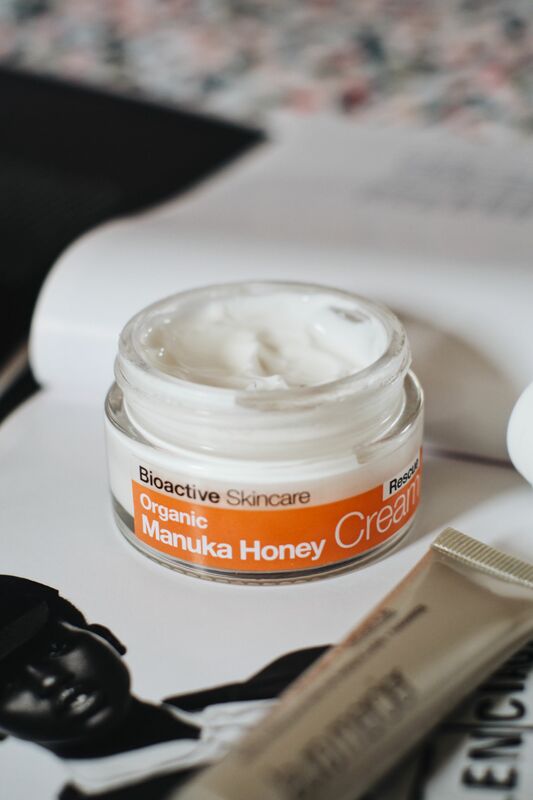 It’s pretty expensive, for what’s essentially a jumped-up body lotion, but if you’re a fellow insomniac, and camomile tea and bubble baths don’t quite cut it, give this stuff a whirl – You’ll be a sleeping beauty in no time! 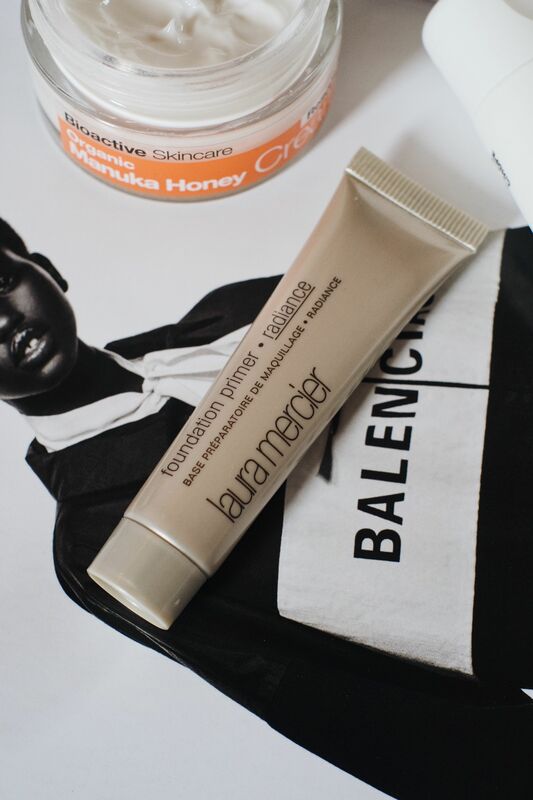 And, last but not least, I’ve been trying the Laura Mercier Foundation Primer Radiance. I received this in my first Birchbox a couple of months back, but only got to use it for the first time last week (eczema stopped me from wearing makeup) and I’m so impressed that it could genuinely begin to edge my beloved Benefit The Porefessional out as my daily primer. The only downside is that it’s quite expensive for a small tube! This primer just glides on to my skin, giving me a glow that seems to last all day. My makeup seems to cling to it really well while letting the radiance shine through too. Definitely worth a try if you’re not a fan of silicone primers.